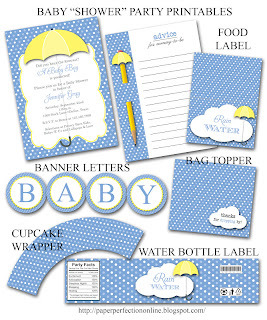 I had another request for party printables from a client that wanted some fun baby "SHOWER" printables with a rain theme. 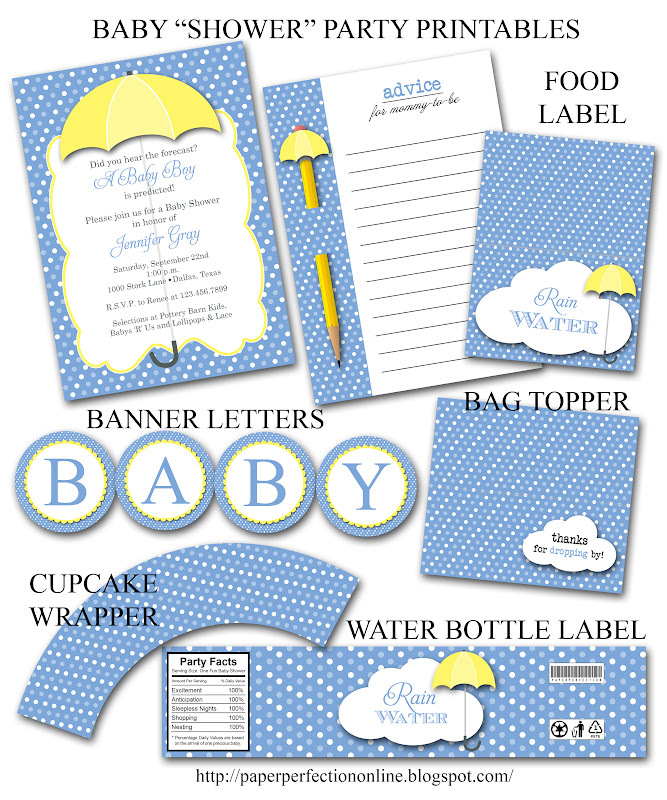 Here are some of the printables that I designed with a few ideas that she sent my way. She is planning on using a cloud die-cut or cloud paper punch for cupcake toppers but wanted a cupcake wrapper that matched the rest of the printables. She is also planning on giving out gum drops or lemon drops as party favors and wanted a bog topper that said, "thanks for dropping by". If you are interested in this party collection or need a custom collection contact Paper Perfection at jtanddolly@yahoo.com for pricing and details.